What Betty said wounded her. And she put it away with all the other hurtful things gathered up during a lifetime. Like a magpie, she stores things in her heart. Nurtures them and takes them out and goes over them again and again. It’s like counting spoons in a drawer. She makes a great collection of sayings that have wounded her over the years. She can’t remember her husband’s face sometimes. But she remember the wounds. The wounds that shaped her. Bird in the Snow is a fairly slim tale about Birdie (Bernadette) Waters. She is telling us her story on the eve of burying her son, Gussie. Her husband has passed sometime before. This is Birdie’s tale to tell, or her thoughts of Gussie, The Vet, as she has always referred to her husband, and her son’s girlfriend, Louise, as she lays in bed on the evening before laying her son to rest. She tells us her story in the way that a very elderly woman only can, remembering bits and pieces here, there and everywhere. Pulling them out from the corners of her mind when they are triggered by a smell, an object, a fleeting memory. Overall, it’s poignant, it’s tender and it’s sad. But as it is written in that here, there and everywhere stream of consciousness of an old woman, it’s often confusing and difficult to follow along. Birdie’s son Gussie is a very odd duck, but it is difficult to fully surmise the many errors of his ways from Birdie’s almost secretive memories. Yet, there would be moments of clarity when she shares moments from her past like her reasons for disliking nuns, her feelings for her husband and his friend Hughie. It’s a sad yet heartwarming story about Birdie and how she is now all alone in her home that used to hold her two fondest loves – Gussie and The Vet. The ending is sweet, sad and very tender and your heart tugs quite a bit for Birdie. Bird in the Snow is the first from my Backlist Challenge, and taken from the Kobo category. It was a book I purchased long ago for my Kobo and after I read On Canaan’s Side, a story I loved dearly. 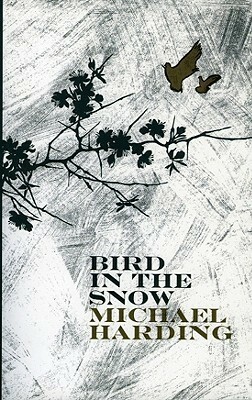 I came across Bird in the Snow after reading a review for it on the Reading Matters blog. She associated this book as being in a way similar to On Canaan’s Side, so I was immediately sold. I quickly purchased after reading this review, but it languished on the Kobo shelf for quite some time. While On Canaan’s Side will always hold a better part of my heart for me over Bird in the Snow, Birdie and her story is a nice read. A 3 – 3.5 star read. Bird of the Snow is such an amazing book. It really feeds my soul how imaginative this books is. It’s my current all time favorite book. Thank you for sharing this review to help shine some light on a great book like this. Ah, thanks for commenting Justin. I agree, Bird in the Snow is definitely one of those quiet hidden gems. I do recommend it if you’re looking for a nice and gentle read!